NASA’s Landsat 8 satellite captured colorful flowerbeds in the Netherlands. 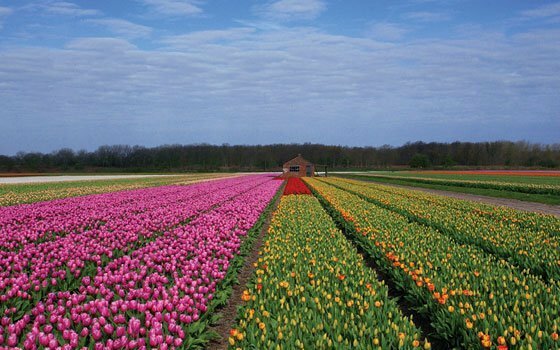 When the springtime arrives, the bulbs sprout to produce beautiful rows of reds, oranges, and yellows—including 800 varieties of tulips. The season begins in March with purple crocuses, followed by hyacinths and daffodils. It ends with tulips reaching peak bloom in April.